MWSS approves business plan, staggers approved rate adjustment | Manila Water Company, Inc. 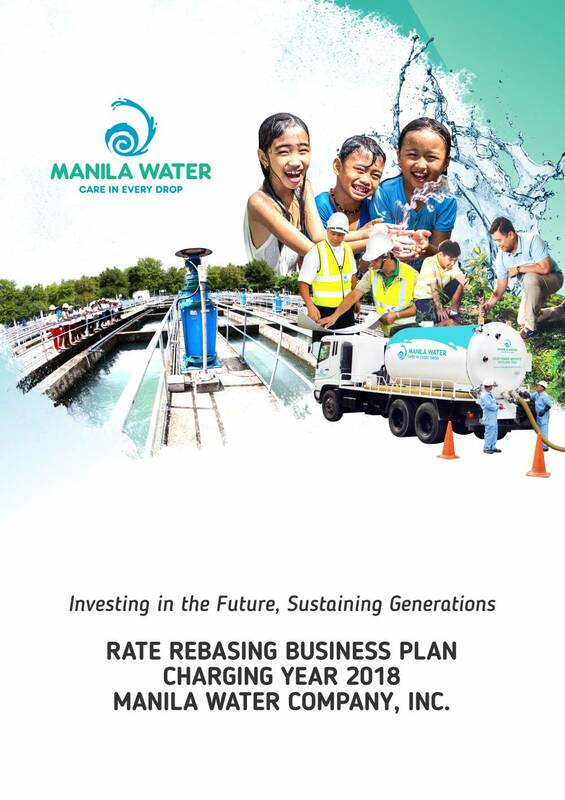 The Metropolitan Waterworks and Sewerage System (MWSS) has approved Manila Water’s Business Plan and Rebasing Adjustment for the Fourth Rate Rebasing Period (2018 to 2022). This is based on MWSS Regulatory Office Resolution No. 2018-10-CA dated September 24, 2018 and as approved by the MWSS Board Resolution No. 2018-145-RO dated September 27, 2018. To mitigate the impact of the tariff increase on its customers, Manila Water shall stagger its implementation over a five-year period. The total increase spread over 2018 to 2022 is between P6.22 to P6.50 per cubic meter, depending on the final approval of the mid-term water source. Effective October 16, 2018, Manila Water will implement the first tranche—P1.46 or 5.70% rate adjustment on the 2018 Basic Charge. For residential customers, this would mean an additional P8.10 in their water bill for a consumption of 10 cubic meters per month, P17.94 for 20-cubic meter consumption per month, and P36.63 for 30-cubic meter consumption per month. Low-income residential customers are exempted from the increase and will continue to pay the lifeline rate of P82 per month. Manila Water’s Business Plan aims to address the current and future needs of its customers. Projects and programs put forward in the business plan are anchored on the “Four Pillars of Sustainability” which are Water Security, Service Accessibility, Service Continuity and Environmental Sustainability. Aside from the rate rebasing adjustment, Manila Water also began implementing a Foreign Currency Differential Adjustment (FCDA) lower by P0.02 per cubic meter for the fourth quarter of the year effective October 1, 2018. The FCDA is P1.65 per cubic meter or 6.11% of the new basic charge. Click HERE to view the October 2018 Tariff Table.